Patrick Grove is tired of the Netflix comparisons, but they're not going away anytime soon. The Malaysian internet mogul is one of the founders of Iflix, a video-on-demand service with more than 5 million subscribers in Asia. Grove says emerging markets, where the startup has big plans to expand globally, are a different game when it comes to video services. Connection speeds and prices are a lot lower. "There's very, very different behaviors in the way that people consume content," he told CNNMoney's Richard Quest. Rather than streaming video on a big screen TV, many people in Southeast Asia and other emerging markets use their phones. "The smartphone has become the primary entertainment device," Grove said. "So when I look at what we're doing ... we're not redefining TV, we're redefining mobile entertainment." The Iflix service is designed to enable users to stream or download shows even at low internet speeds. 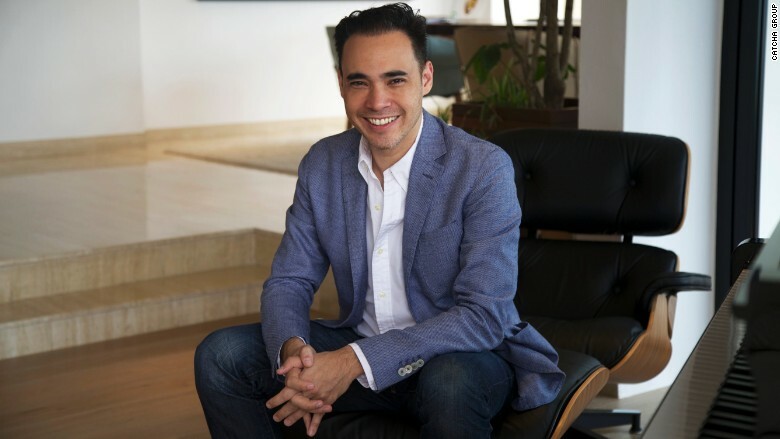 Internet entrepreneur Patrick Grove is estimated by Forbes to be worth around $400 million. 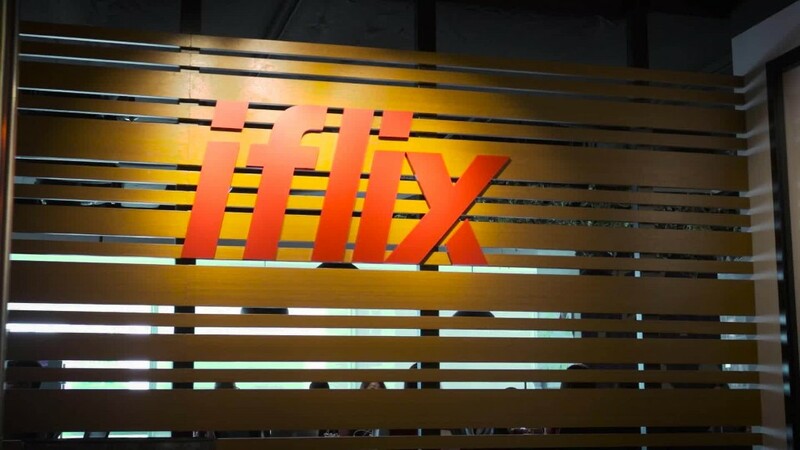 Some big global names have bet money that Iflix knows what it's doing. Since it was set up two years ago, it's raised a total of $170 million from investors including MGM, Rupert Murdoch-affiliated broadcaster Sky and John Malone's Liberty Global (LBTYA). But Iflix faces competition from Netflix (NFLX), which announced a big international expansion at the start of last year. Grove thinks Iflix's roots in Southeast Asia gives it a better understanding what users in its key markets want. "I think it's being respectful of local customs, local religions, local languages, local price points, local ways to pay," he said. Iflix is cheaper than Netflix, costing $2 to $3 a month (or about the price of a pirated DVD, the company notes). And customers can pay their subscription fees through their cell phone bills. 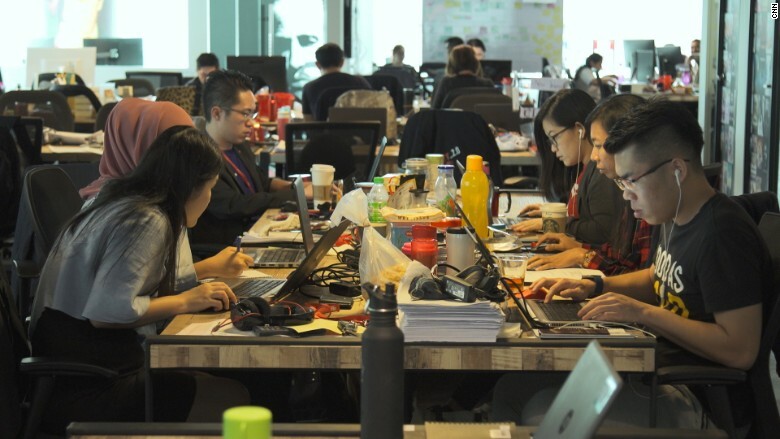 Iflix offices in Kuala Lumpur. Iflix has so far gone live in 10 countries, including the Philippines, Malaysia and Pakistan. And it's expanding farther west, with plans to launch in parts of Africa and the Middle East soon. It's just one of Grove's internet businesses. His investment firm, Catcha Group, has stakes in dozens of companies, including online classified ads and auto websites. Catcha has more than $1 billion of assets under its umbrella, and Grove is estimated by Forbes to be worth around $400 million. But he says he's motivated by a lot more than just money. "I want to prove that people from this part of the world, we're smarter than people in Silicon Valley, we're as talented as people in Silicon Valley, we're as creative, we can execute ideas just as fast," he said. -- Michala Sabnani contributed to this report.